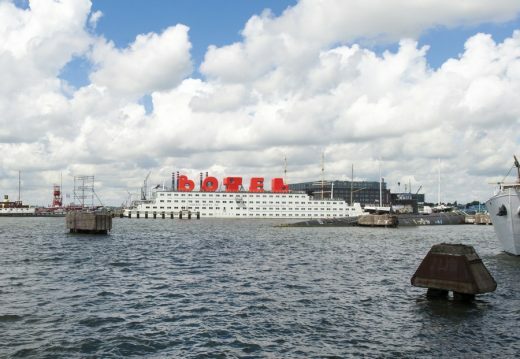 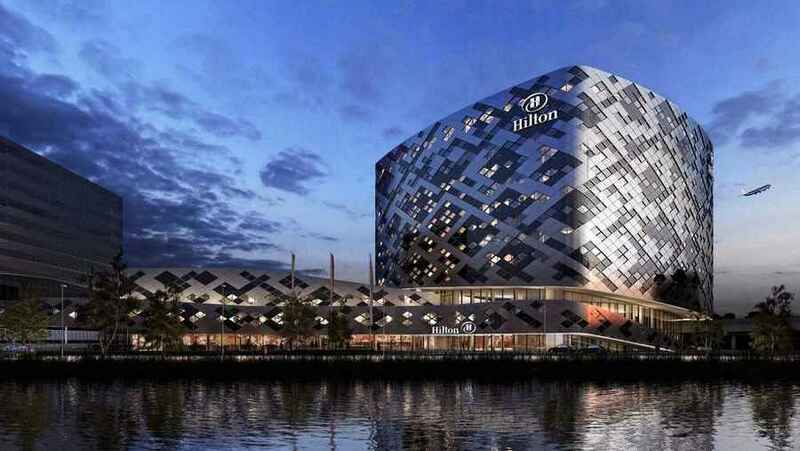 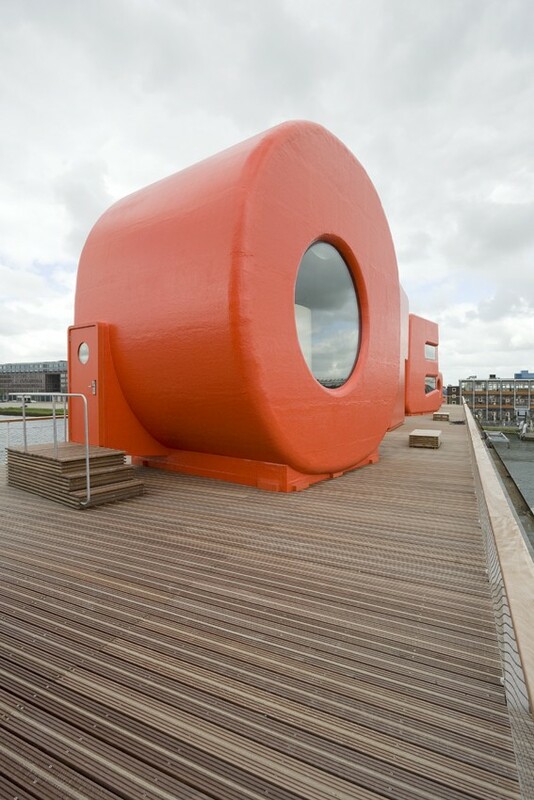 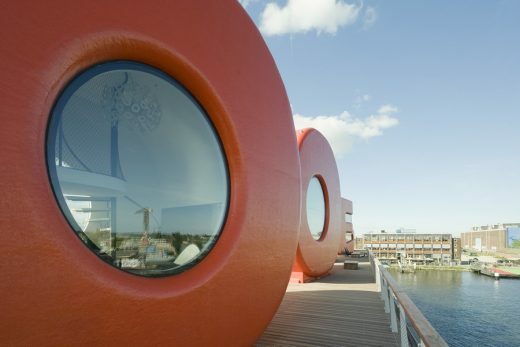 How can you improve the look of the hotelboat, in order to make it fit in with the dynamics and creativity of the NDSM wharf, in the north of Amsterdam? 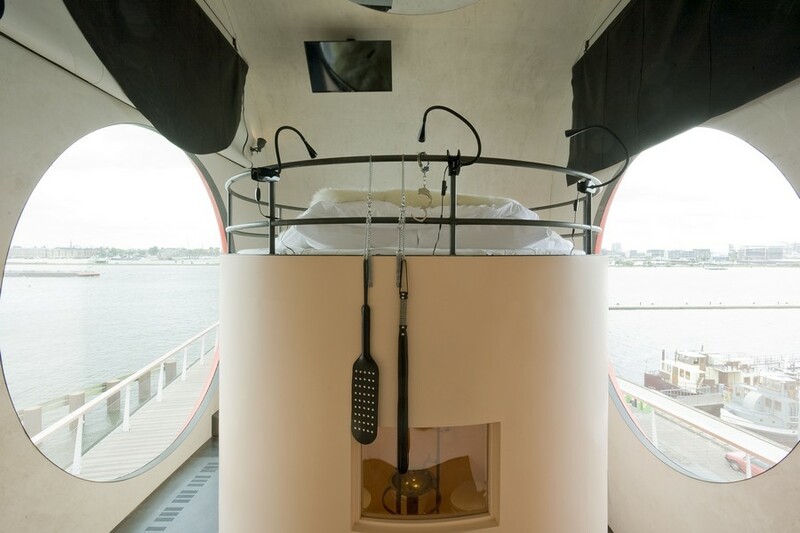 This was the question that Botel-owner Sandra Chedi put to MMX-architecten (Arjan van Ruyven & Michiel van Pelt) in 2011. 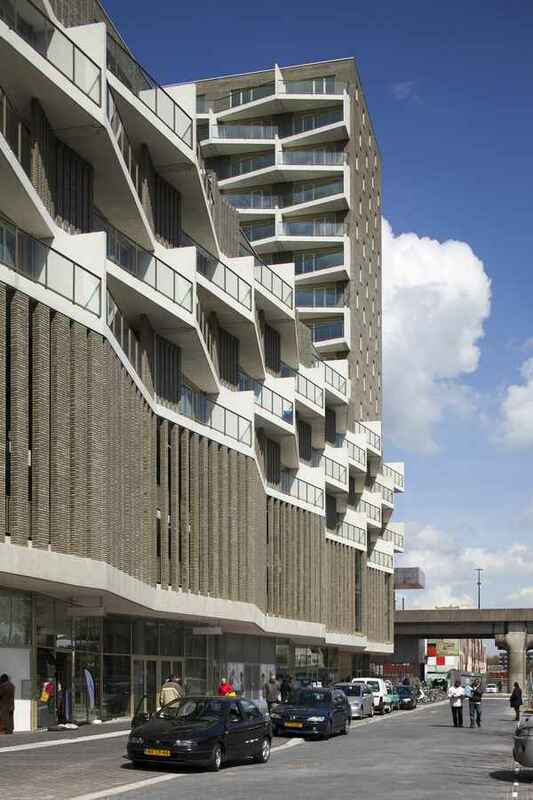 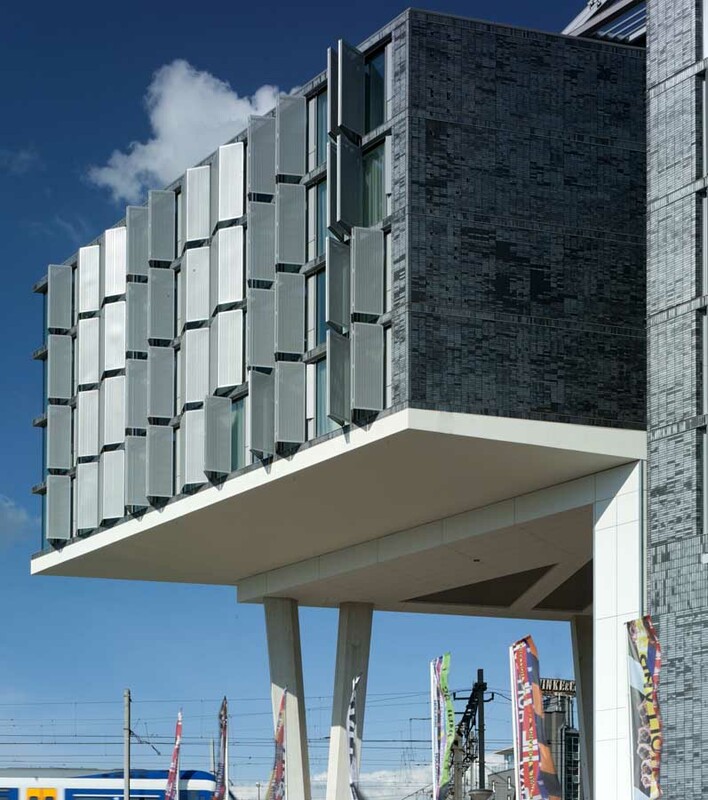 Together with filmmaker and architect Jord den Hollander they developed a bold plan. 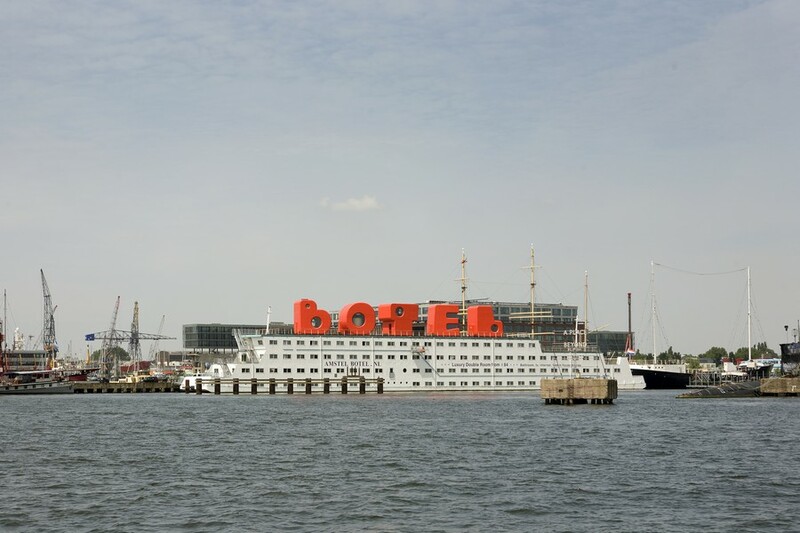 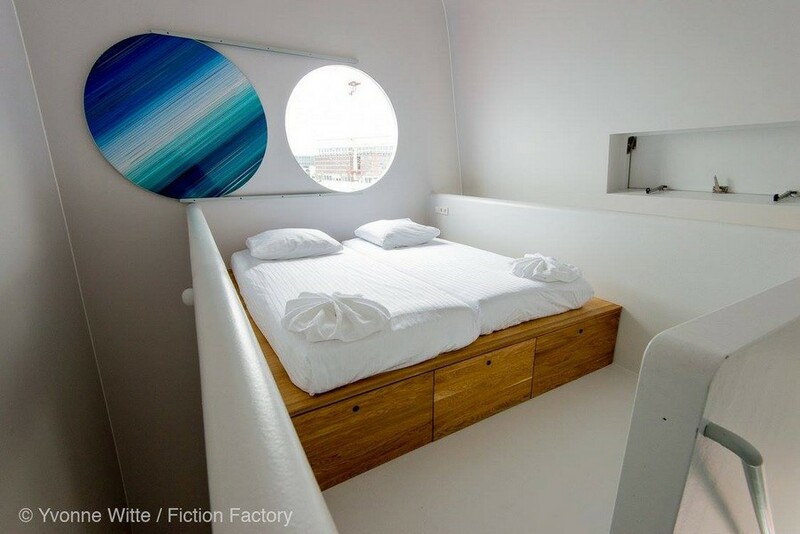 Five 6.5 -meter-high hotelrooms in the shape of huge toy letters make up the silhouette B O T E L on top of the ship. 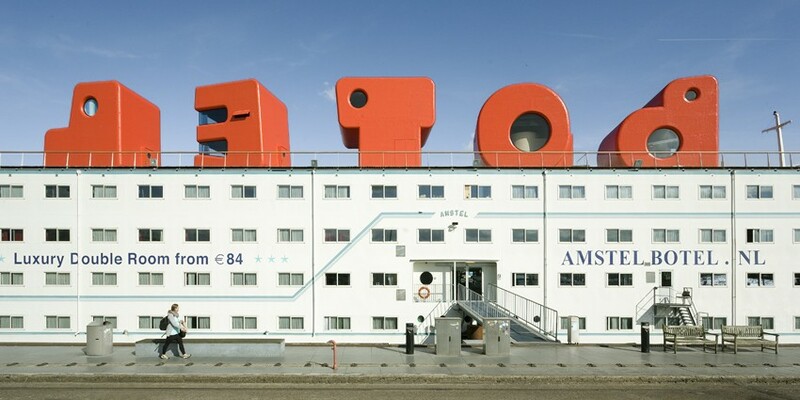 For the interiors of the letters MMX came up with the idea to challenge several designers. 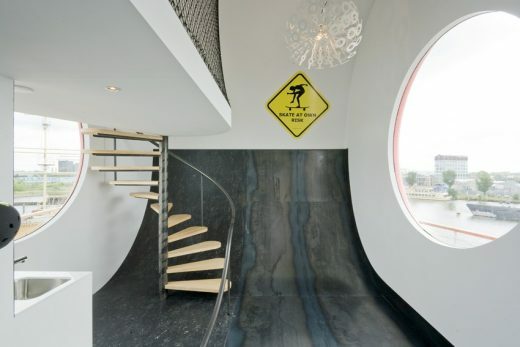 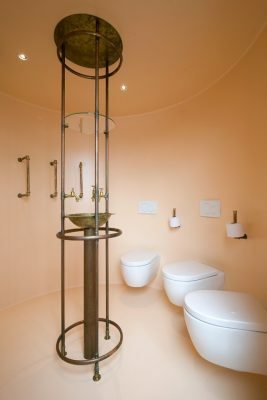 Richard Hutten designed a half-pipe in the B, Ronald Hoofd (&Prast&Hooft) was inspired by the book L’ Histoire d’O for O and architect Moriko Kira turned the L into an oasis of calm. 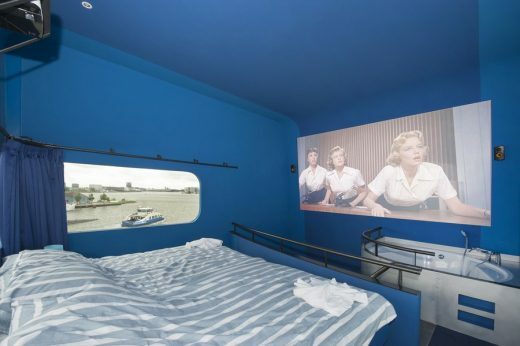 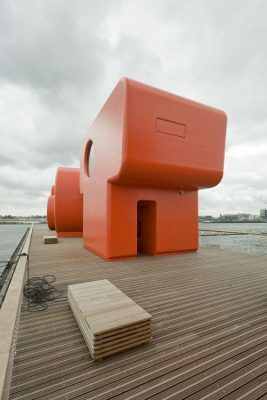 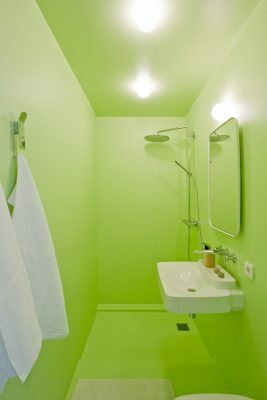 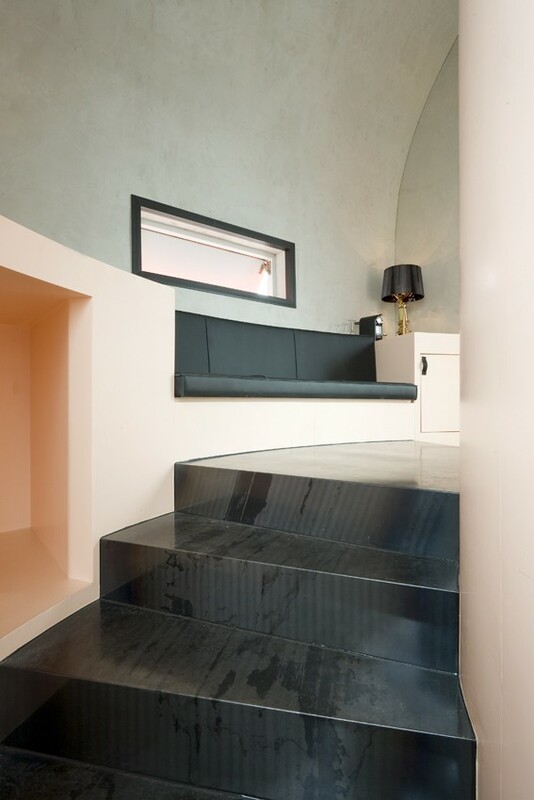 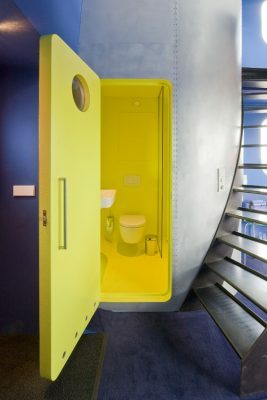 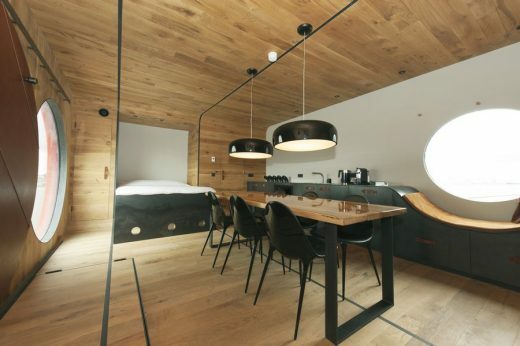 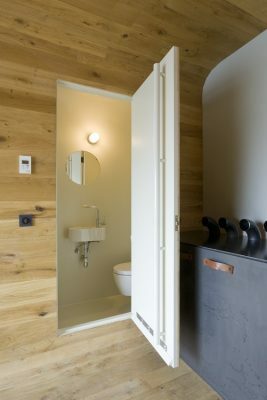 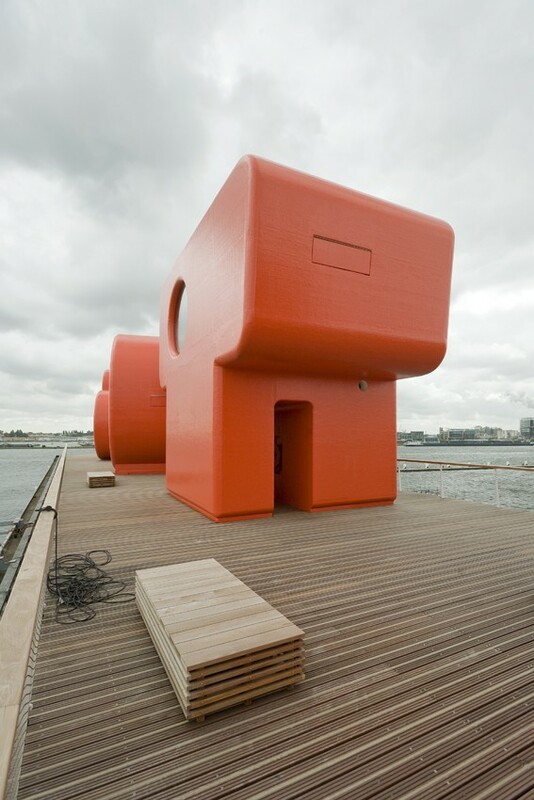 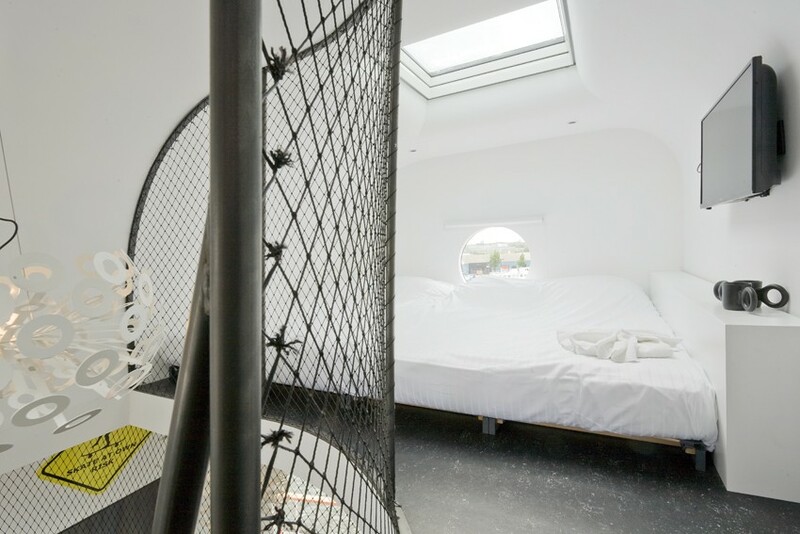 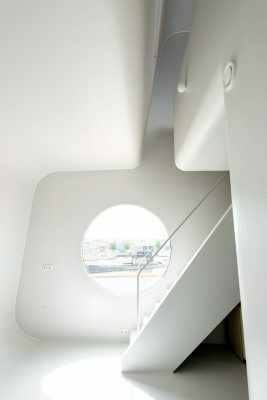 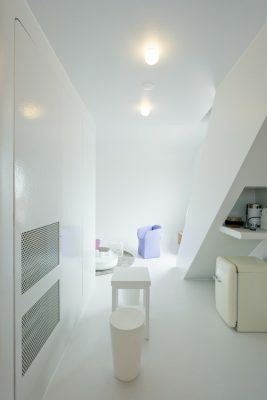 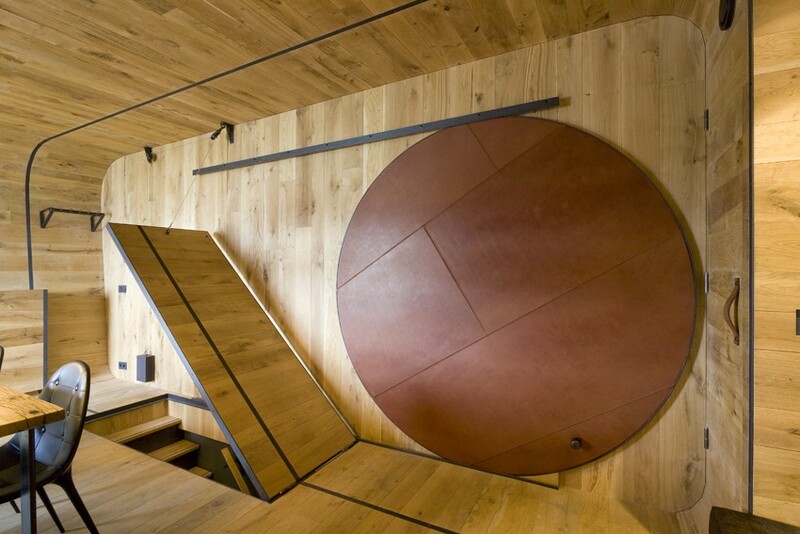 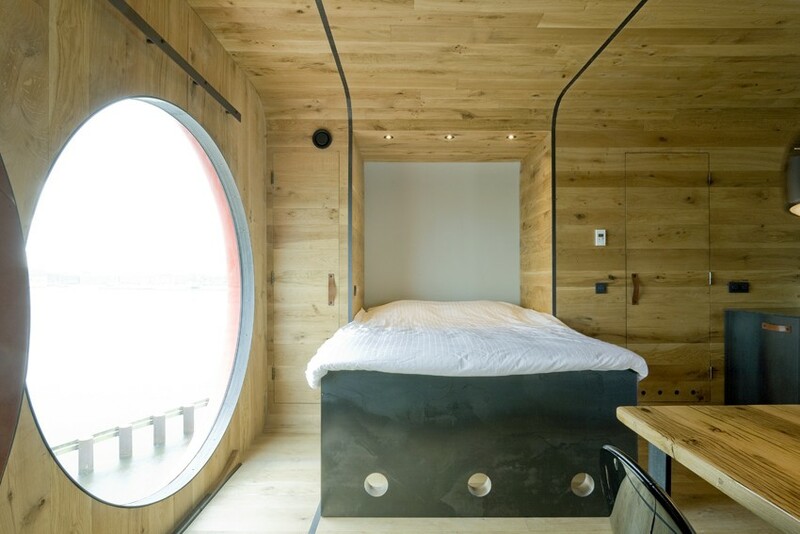 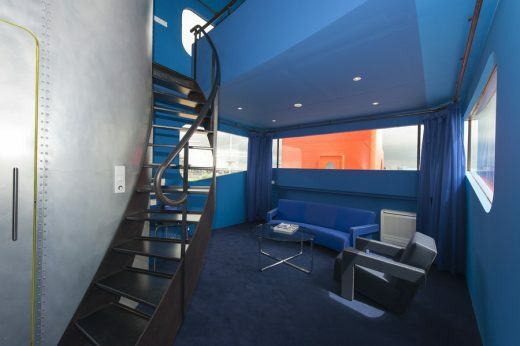 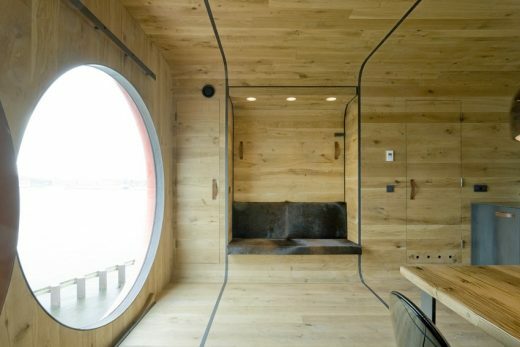 Designer Jord den Hollander made the smallest cinema of the Netherlands in the E, and MMX-architecten saw in the top room of the T the captain’s quarters of Botel.